IT needs to deliver services with more agility and velocity. IT must roll out application features and innovations faster to keep up with customer demands, which is where a DevOps toolchain steps in. 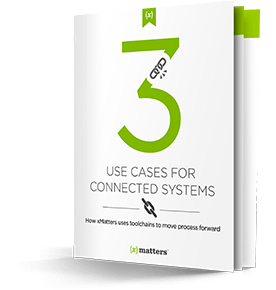 View the infographic to see why you need a DevOps toolchain. Hungry for more? See our new whitepaper where we dive into how our very own Dev team uses a toolchain to maximize uptime & create velocity with multi-system integrations.